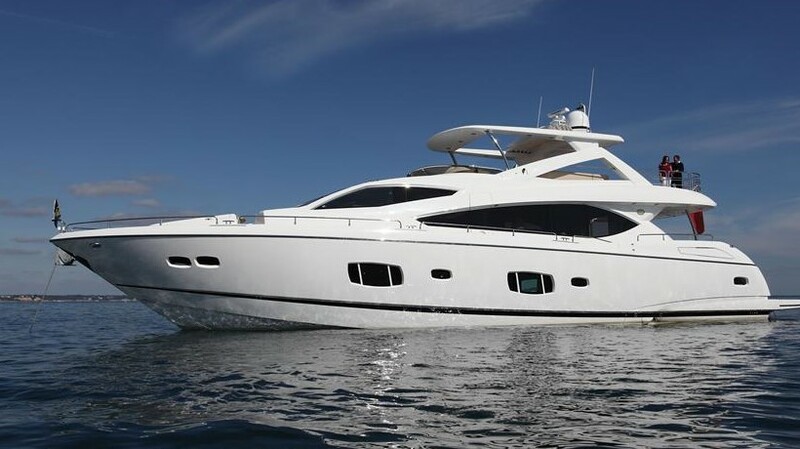 Other photos: Top Deck 1, Looking Aft 1, Aft Deck 1, Fore Deck Seating 1, Hydraulic Platform, Side Deck 1, Side Deck 2, Wheel House, Salon Looking Aft, Galley, Front VIP Cabin, Bathroom, Owners Cabin, Bathroom, Stbd Twin, Port Twin, Engine Room. She is fitted with zero speed trac fin stabilizers for stability at anchor. Call Miles Clark to arrange for an inspection. Seanergy Limited part of Ocean Independence are World Wide Central Agents for this Vessel. No advertising is permitted without approval from our Office.